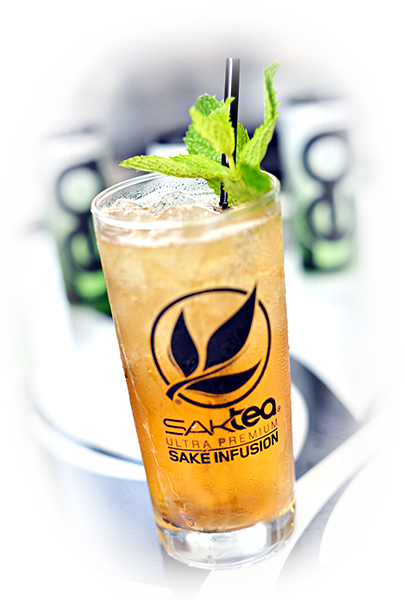 SakTea (pronounced säk tē) was created for one reason. . . to be “The Ultimate Alternative”. SakTea is unique in every way. The first of it’s kind, paving the way for the conscious alcohol consumer. Naturally gluten free and utilizing natural premium ingredients is what SakTea is all about. Fast forward to the ALL NATURAL / GLUTEN FREE – Ultra Premium Saké Infusion and you won’t believe the creation we have stumbled upon. SakTea has a rich texture, but is light, completely refreshing, and slightly sweet. This freshness allows SakTea to be paired nicely with a wide variety of cuisine. It comes in a sleek ready to drink package and is designed to be chilled and served in a glass over ice.